It’s giveaway time — and also Oui In France’s birthday! 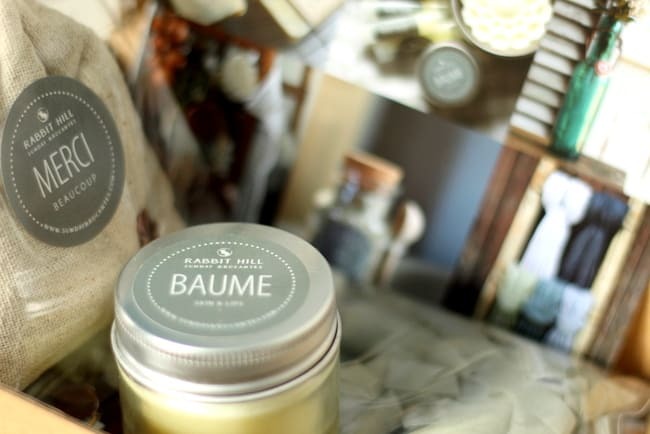 This month, Oui In France turns 5 years old! I can’t believe it! No matter how long you’ve been reading my blog, I’d like to say thank you. Without all of you out there commenting, sharing, and encouraging me, my blog wouldn’t be what it is, so again, un grand merci. 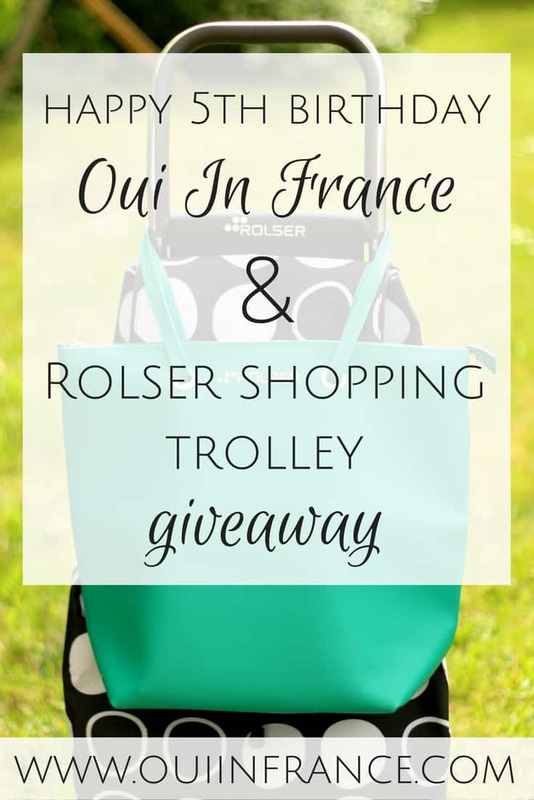 To help say thanks, I’ve teamed up with Rolser for a fun shopping trolley giveaway open to Oui In France readers worldwide. 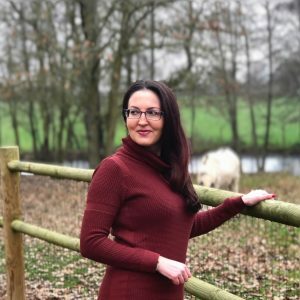 I started blogging about 6 months after moving to France and it’s become a major part of my life. I’ve written on French culture, the French language, on blogging, on our travels within France, a sprinkling of fitness-related posts, my struggles as an expat, my mistakes, what it’s like as an American in France and so much more. Out of all 585 posts on my site, here are a few of my more memorable posts (in no particular order). If you have a favorite that maybe I didn’t list, let me know in the comments. I love hearing from you! I won’t get all sentimental on you about what this blog means to me, but just know I appreciate every one of you. Every comment, every email, every share, and every encouraging word. 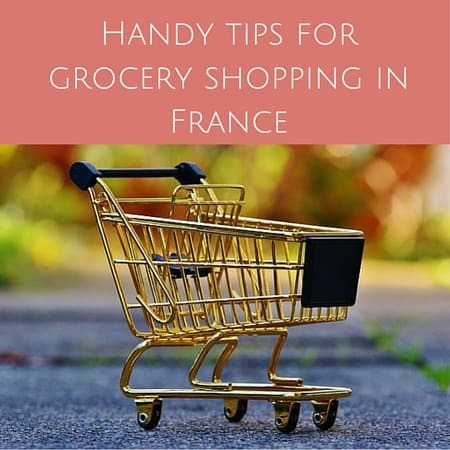 When I first moved to France, I quickly noticed that everyone seemed to have a fancy shopping trolley. People would roll one to and from the grocery store, to the farmers’ market, the laundromat and pretty much anywhere they’d shop. At first, I wasn’t into these granny cart things and figured they weren’t for me, but oh, how wrong I was. They are essential to life in France! After several weeks of lugging my shopping bags home by hand from the store, I realized there is a much better way. So consider me a convert. 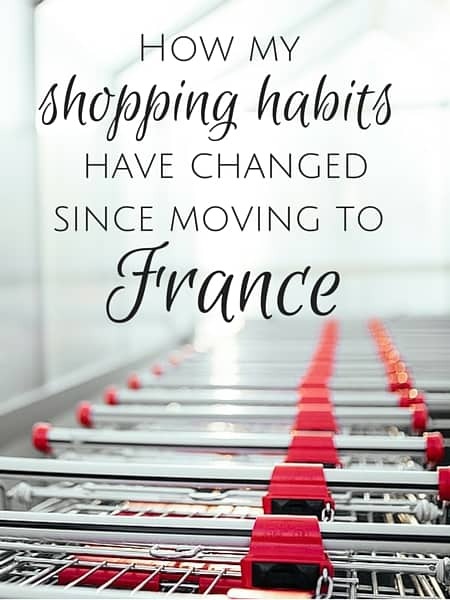 Men and women of all ages use shopping trolleys in France (and other parts of the world)! They’re good for the environment and the responsible way to do your daily shopping. 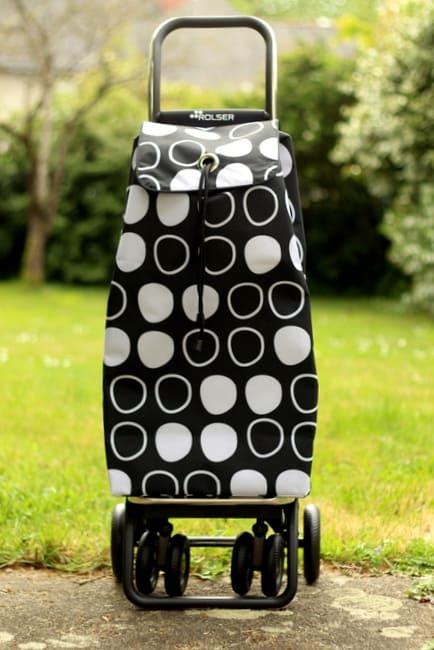 You can find many brands of shopping trolleys in France at all price points but the brand that caught my eye was the Spanish brand Rolser. They’re the best looking ones on the market, really. I bought myself a nice red shopping trolley back in 2013, and several years later, it’s still in tip-top shape. I’ve now added the one pictured in this post to the mix (Thanks, Rolser!). Rolser products are made in Spain and even Oprah loves the brand! 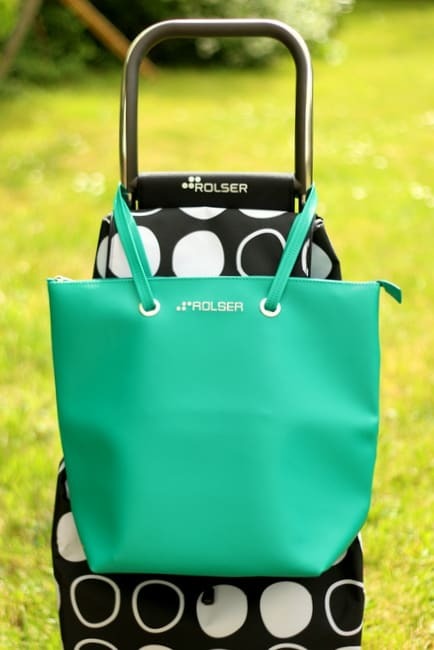 Rolser is constantly innovating and their trolleys are extremely well made, durable, and chic. If you live in France (and other parts of Europe) and you don’t have one, you’d be in the minority! Readers have also let me know they’re becoming more and more popular with all age groups in the US as well! The Bag S Bag comes in a bunch of fun colors that pop. Use it at the market while out shopping or just as an everyday purse. It’s made of a durable vinyl type of material that could easily be wiped clean. It zips closed and has a little pouch inside as well. The bag retails for 33 euros. Color pictured is green (a bright turquoise/aqua). Aside from the convenience factor and the eye-catching design, one of the first things I noticed about this shopping trolley was the sturdiness of the foldable frame. This is an incredibly well-built piece and transports a full load of groceries with ease. In fact, the recommended load is 55 pounds but it can do a bit more than that with ease! 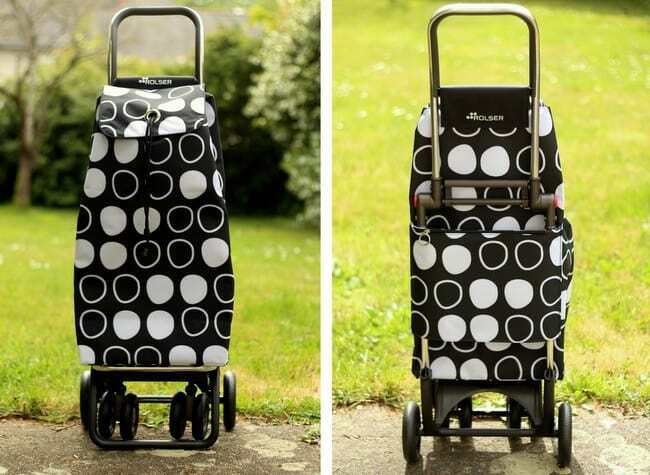 Stylish and practical, Rolser shopping trolleys are musts for men and women of all age groups. There’s a style, size and price that suits everyone. Giveaway model retails for 101 euros. Double inner pouches for a small wallet, notebook, pen, etc. Entry is free and you can enter via the Rafflecopter widget below. You can pick any or all of the “tasks” for up to 7 chances to win. 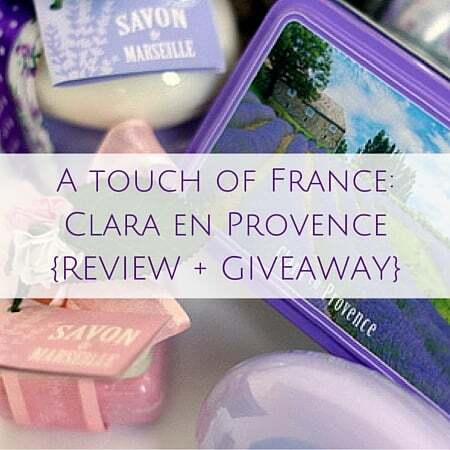 First, SIGN UP for the Oui In France newsletter (bottom of this post above comments) or click here. We’re giving away 1 bag and 1 trolley so there will be 2 separate winners (1 person will win the bag, the other will win the trolley) selected at random. Again, just to be clear, two different people will be winning 1 prize each. Winners choose their color preference (subject to availability). 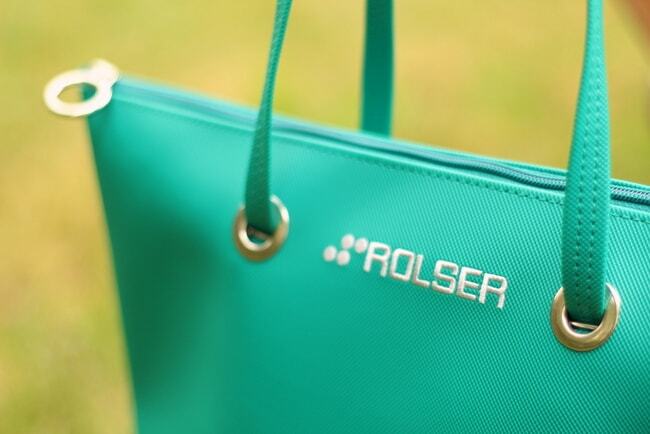 Please note products are sent directly from Rolser in Spain to the winner. If your country imposes customs fees/duties, the winner is responsible for them. The only way to enter is via the Rafflecopter widget below. The giveaway will run for one week until midnight on May 14, 2017. Winners will be contacted by email and are expected to reply within 24 hours or another winner will be chosen. Good luck! 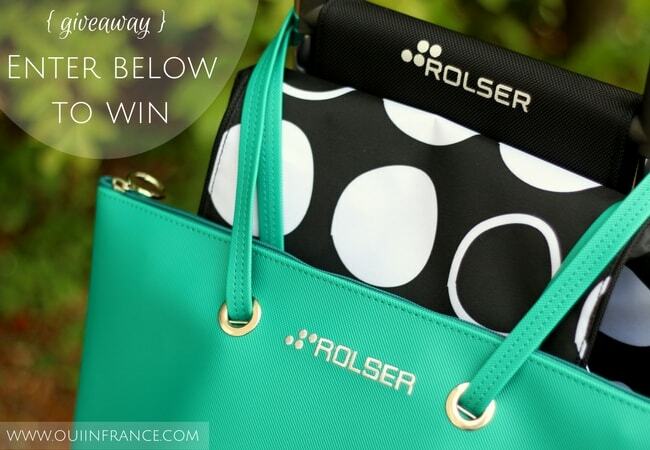 Thank you, Rolser, for partnering with me for this milestone giveaway! « Pass the bread, please. That’s not “bread”! Congrats on 5 years! Really enjoy your blog. Congrats on reaching your 5th blog birthday. What a posh shopping trolley! Just as well I didn’t arrange to meet up on this trip, I’ve not been well at all but I’ve learned the names of two afflictions! (Infection pulmonaire and la conjunctivite!) I’m sure my awful appearance scared the vendeuse at the pharmacie. Congratulations! You are one of my favorite bloggers. I enjoy your blog and. thanks to you, will hopefully make less newbie mistakes and have the right expectation for when I make my big move! Congrats on 5 years!! I love your posts! Congrats on 5 years! Gained a lot of insight from your blog before moving to France and still enjoy your work… thanks! I love reading your blog about all things French!! I love your blog! Very practical advice, lovely photos, and humor. Congrats on 5 years. Congrats on five years and so many great posts! Looking forward to many more years. Vive La France!!! Congrats on your 5 year anniversary ! 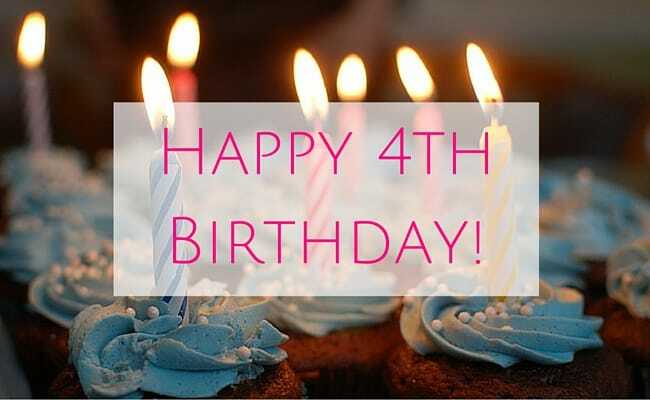 Wishing you another 5 years and more ! Félicitations !! Love following your blog! Congratulations on five wonderful years! I love your blog. And, love the shopping trolley & bag – brilliant. Congratulations on five years. I just discovered your blog a few months ago and have been reading older posts when I have time. I really enjoy your blog and can’t wait to get back to Paris again. Congrats Diane! 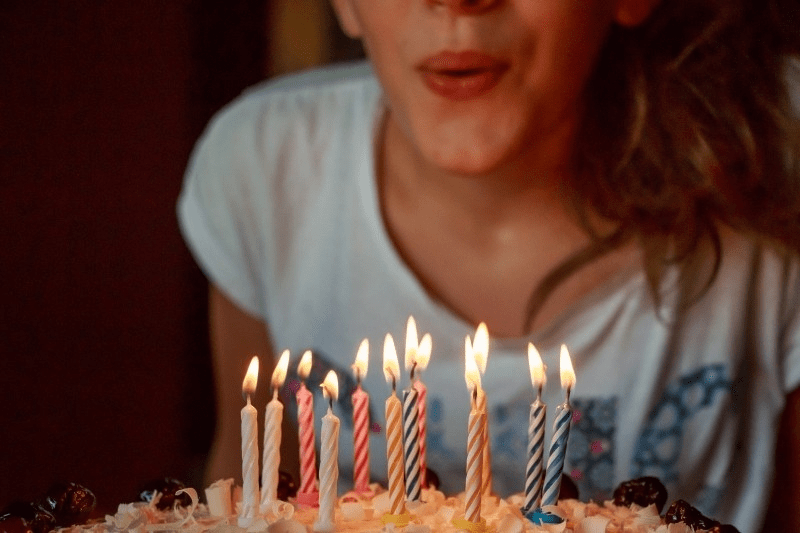 My blog has also just turned 5 and I didn’t even notice!!! Oops! Happy Blogday! The shopping trolley is really cool, bright and colourful compared to the ones our grannies had. As an American who’s living in France for a year, I’ve appreciated your blog. Your tips have helped me figure some things out. Thanks and congrats on 5 years! Congratulations! i love your blog that I follow since I moved to the USA 5 years ago! Hello, what great bags I especially like the green color. Congratulations on 5 years blogging! I enjoy reading your take on France – I rarely comment (a little bit overwhezlmed & never have anything to add!) but I enjoy what you write. I have thought about a shopping trolley – not for shopping but to lug all my teaching materials around in! If I am not lucky I may have to buy one!! Just the shopping trolley I was looking for! Congratulations on your 5 years. Just like you I’m a convert too. I was carrying bags for years but now plan to visit market with a trolley. Looking forward to reading your future blogs.